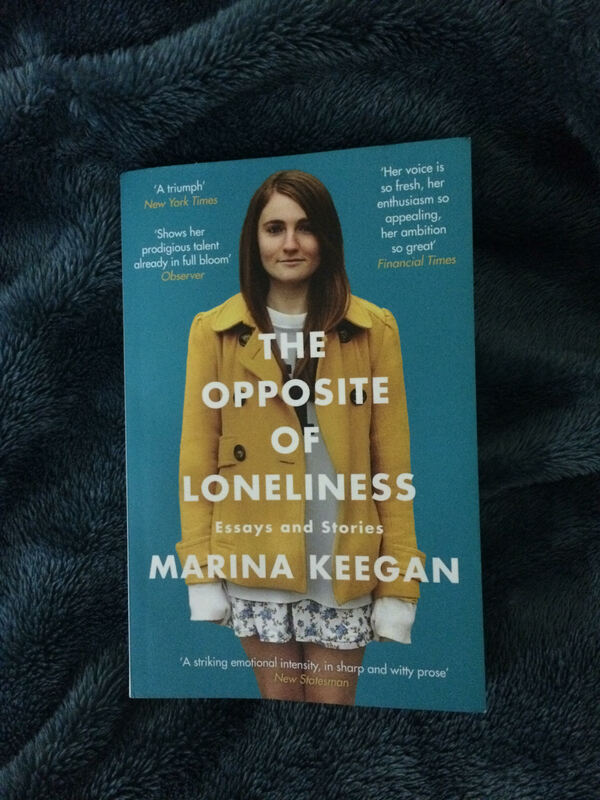 The book is a collection of essays and short stories written by the Yale-graduate young woman Marina Keegan. Marina died shortly after her graduation in 2012. After her death, these pieces are collected and published under the title “The Opposite of Loneliness;” the same title of the piece she published in Yale daily for the occasion of her graduation and which later went viral. The book is divided into sections: fiction and non-fiction and is introduced by her “The Opposite of Loneliness”‘s piece. This piece is great and moving though it is written in both simple language and style. In this piece, Keegan talks about her life in Yale and the sense of fulfilment and love which Yale provides her with. She also encourages her colleagues to never give up because they are still young. I fell that every English language graduate should read this piece ! As for fiction section, honestly I agree with other reviewers…if Marina hadn’t died, she would have never been published. Her fiction is mediocre. Yes, maybe she could polished them more, but in their current shape, they are as I said just mediocre. I noticed that the controlling theme in all her short stories is Loneliness although her title suggests she is looking for the opposite ! The first short story is meaningless! I think they choose to put it in the beginning just to draw the readers’ sympathy! It is pathetic…I think she deserves more than this. The second and third are amazing. In these stories, Marina discusses the impact of loneliness and loss. They are written beautifully..the characters, the style and language are well-crafted. The fourth short story is different than the other…somehow unique. The one-sided conversation again alludes to loneliness; we hear the voice of one character talking, analysing, describing…but he is lonely. The fifth is troubled ! The sixth short story is my favourite; again it is the theme of loneliness, loss and void. The last short story is the darkest one; I felt suffocated reading it! The nonfiction section is much better; it is more mature. I felt her creativity and mind are more paramount. She writes passionately about her subject matter. She definitely knows how to engage the reader. She tackles ordinary topics from new angels. Unlike her fiction, here she discusses different ranges of topics. Overall, the book is a good read, but it is not what I expected based on the positive review.